Pujara played a gritty inning of 123 off 246 balls. It is not often that people like Cheteshwar Pujara get the limelight in a team studded with big-hitting batsmen. The man is not known for any attractive batting and doesn’t find a team in the glamorous forms of the game. But such an uninviting persona stood as the tallest figure for India on Day 1 of the first Test in Adelaide and saved the world’s No.1 Test side from a major embarrassment. The right-hand batsman walked out to the middle in the third over after one of the openers fell cheaply and held his ground till the 88th over when he got dismissed – not by any bowler but by means of a run-out. Perhaps it was the only way the man’s gritty innings of 123 off 246 balls could come to an end. Pujara’s innings not only meant that India were not bowled out cheaply inside the first day but also that the visitors’ well-reputed bowling attack has now something to fight with. Things looked far more sinister after Virat Kohli won the toss and elected to bat. The top order, which included the in-form captain, crumbled as India were left tottering at 41 for 4 in the 21st over. The cameo innings of Rohit Sharma (37) and Rishabh Pant (25) did not do much help in terms of longevity and Pujara eventually got some support from the tail-enders to complete his 16th ton in Tests. Former Australian spin legend Shane Warne congratulated the 30-year-old batsman for scoring a brave ton when everything else looked down. Praising the batsman in a tweet for his maiden hundred on the Australian soil (he bettered his previous best of 73 which was scored at the same venue in 2014), Warne also shared a funny anecdote. 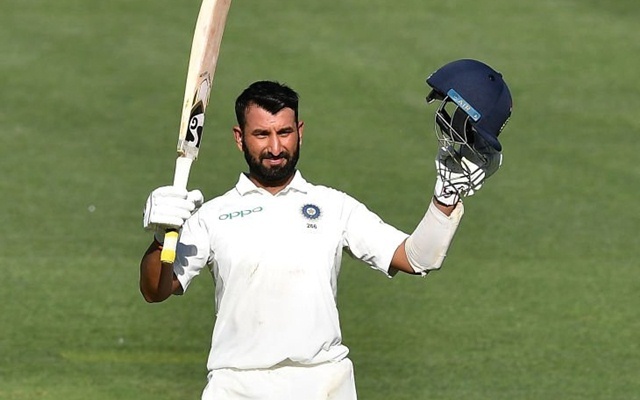 He said Pujara is referred to as “Steve” by his teammates in Yorkshire, the county side for which the batsman plays since they could not pronounce his name. Pujara’s dismissal marked the end of play on Day 1 with India scoring 250 runs for the loss of nine wickets. Mohammed Shami is at one end with six off nine balls while Jasprit Bumrah will walk on the second day morning. For Australia, all four main bowlers took two wickets each with pacer Pat Cummins having the best economy rate of 2.57.